Background: Sulfur-containing compounds are widespread among natural products and bioactive substances, and also useful ligands in asymmetric catalysis. Objectives: In this context, different methods for the preparation of oxazolidine- and oxazoline-2-thiones and their more recent applications are reviewed. Conclusions: In this survey, novel rearrangements and new reactions have also been summarized since 2007 until 2016. 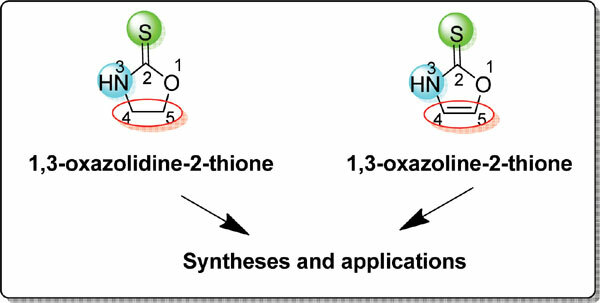 Oxazolidine-2-thiones, oxazoline-2-thiones, chiral auxiliary, applications, asymmetric synthesis, diastereoselectivity.